In a huge blow to Monsanto, a French court has declared that French professor Gilles-Eric Séralini was in fact right when he claimed that GMO foods fed to rats caused tumors. The original article outlining the study was pulled from the journal Food and Toxicology, but only after fierce, ugly warfare being waged against the journal and Séralini by–you guessed it–Monsanto. The ‘frankenfood’ giant even managed to insert a former company employee in the strategic position of Associate Editor for Biotechnology at the journal, where he worked tirelessly to convince the powers-that-be to pull the story. Two years down the road, Séralini has republished his findings at a different peer-reviewed journal, Environmental Sciences Europe, and he is basking in the glory of vindication on the heels of the latest court ruling in his favor. 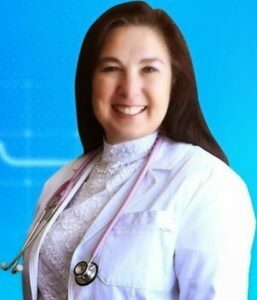 During the attempts to discredit Séralini, the signature of one member of his team was apparently forged on a document that was used to argue that he was wrong on the tumor-causing claims. But according to an article on Séralini’s website, the French High Court has indicted Marc Fallous, the former chairman of France’s Biomolecular Engineering Commission on charges of forgery and use of a forgery, yet another victory for Séralini and his team–and for the forces of truth. 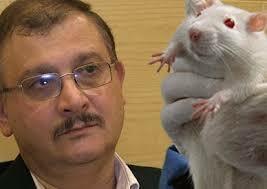 Séralini’s work referred to in the court battles consists of a single long term feeding study. Every independent study of GMO safety has found the genetically modified foods to be dangerous in various ways. GMOs were administratively declared safe for human and animal consumption by the FDA without any independent testing. Labeled “substantially equivalent” these patented materials are labeled in 61 countries – but not the US. Studies like these deserve a full and public airing. Without the cold light of public scrutiny, we would never have learned of the dangers of cigarettes, or leaded gasoline, or cars without seatbelts. Industry forces fought each of these disclosures ferociously. It is a victory for the human race each time a mega-corporation like Monsanto is put in its place and forced to retract libelous attempts to smear scientists who are only trying to get at the truth. But the long battle Séralini and his team have fought so far should serve also as a cautionary tale: Monsanto and its minions will stop at nothing to get any bad news about their company and its odious practices out of the public eye. If you do not live in a country that labels GMOs (like the US), your only option is organic or biodynamic food. We have to remain vigilant and at least as determined as GMO forces are if we want to ensure ourselves and our children a healthy future. This is great news! May he be safe by God’s grace.